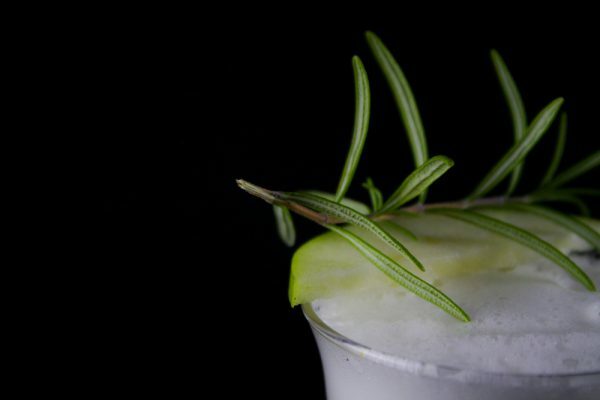 You’ll need to make the The Perfect Apple Rosemary Cocktail. 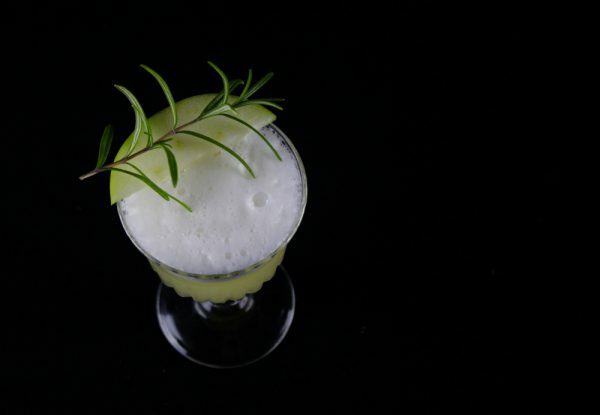 Gin, apple juice, bitters, rosemary and a few tricks and you’ve got a cocktail that will impress your guests. I really do think this is the perfect Apple Rosemary Cocktail. Most cocktails use the regular spirits and liquors often a bit of fruit. Here I’m adding a bit of rosemary to give the drink something extra. But don’t worry, it is easy to make and you’ll get to use two techniques that can come handy in many drinks. It’s not that hard to figure out why this drink work so good. Apple and rosemary pairs great. 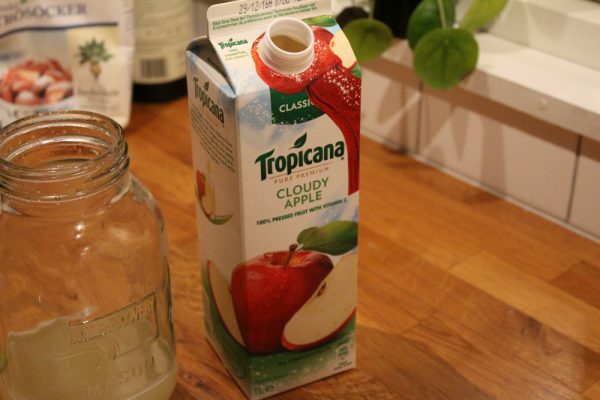 I use the Tropicana cloudy apple juice which I love, mostly for breakfast but still. 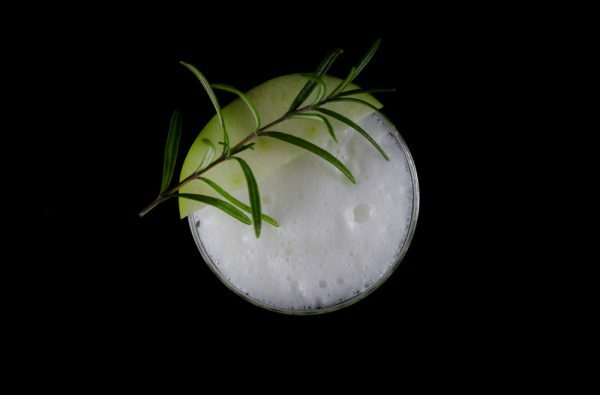 To make into a cocktail I use white rum which pairs great with the herbal notes that you’ll get from the rosemary as well as the apple. 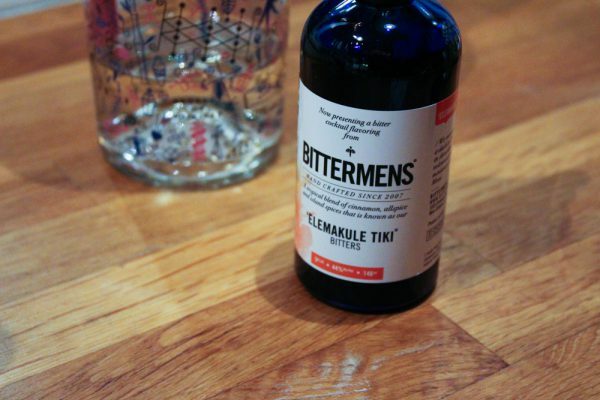 To make things interesting I also added a few drops of Bittermens Elemakule Tiki bitters. Adding a few drops of bitters is a great way to add some character to many drinks. The obvious example is of course the Old Fashioned. There are plenty of bitters to find in good shops, sadly none of those seems to be in Sweden. I got mine in the US but if you don’t have this one you can use some other kind. The classic Angostura will work fine. Now let’s make the Perfect Apple Rosemary Cocktail shall we? Why decorate with a rosemary and slice of apple? This is of course because it looks great. But not only. 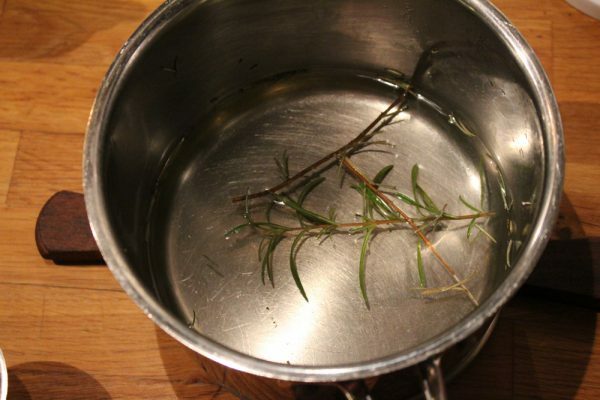 For every sip of the drink your nose will get some of the aroma from the rosemary twig. I know this sounds pretentious as hell but it really does make a difference. Besides you will have rosemary at home to make the syrup anyway. So what are the techniques that is so great? The two things that is good to know is the flavored simple syrup and the egg white. Infusing simple syrups with flavors is a great way to add flavor. They last for a long time and can be used for both cocktails and desserts. The egg white is what creates the foam. In bar stores you can buy special egg white foaming liquid but it’s easier to just add a bit of egg white. 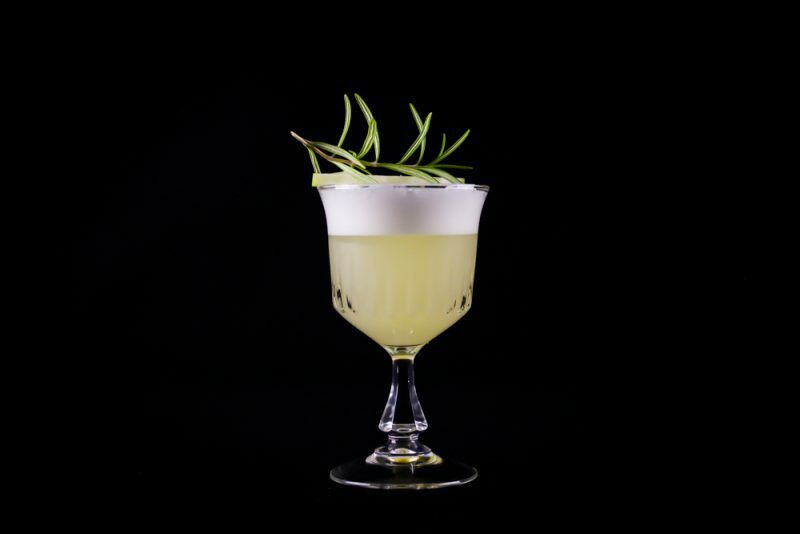 The technique is used in many drinks, the Whisky Sour is one of the most known examples. If you have vegan friends you might want to inform them or skip the egg white. Good luck!